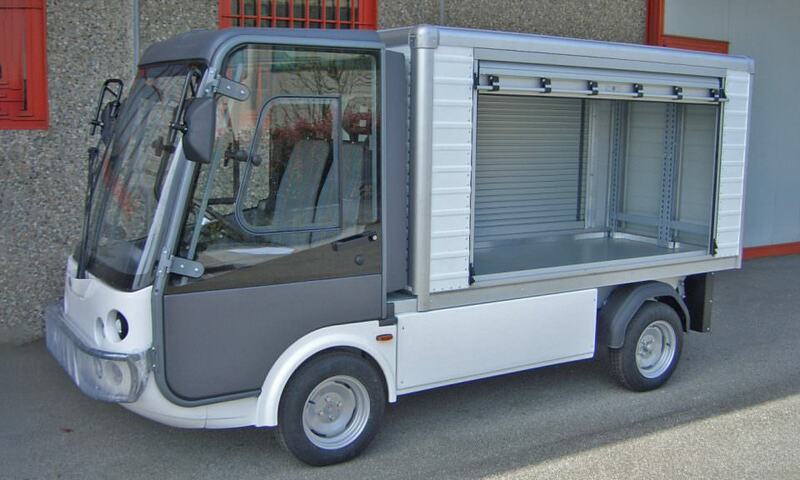 The roller shutter box allows the Esagono Gastone electric van to be used to transporting goods materials and equipment up to a capacity of approx 800 kg. 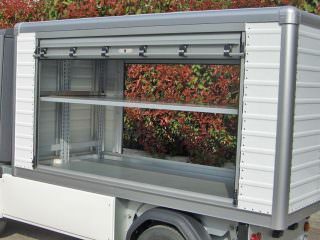 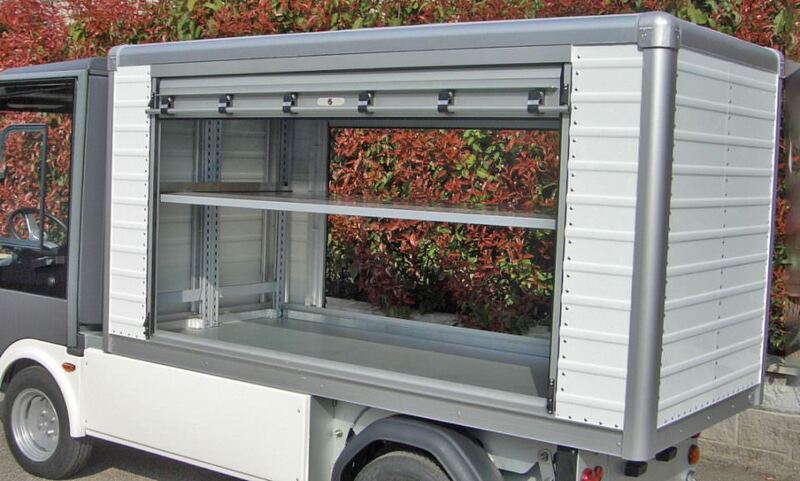 Available with both side and rear shutter doors allowing for easy access in confined areas, the roller shutter van box can also be specially adapted with shelving, or bespoke storage. 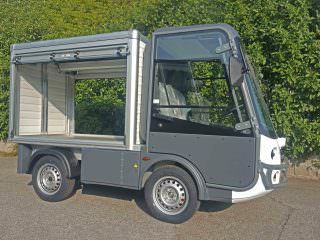 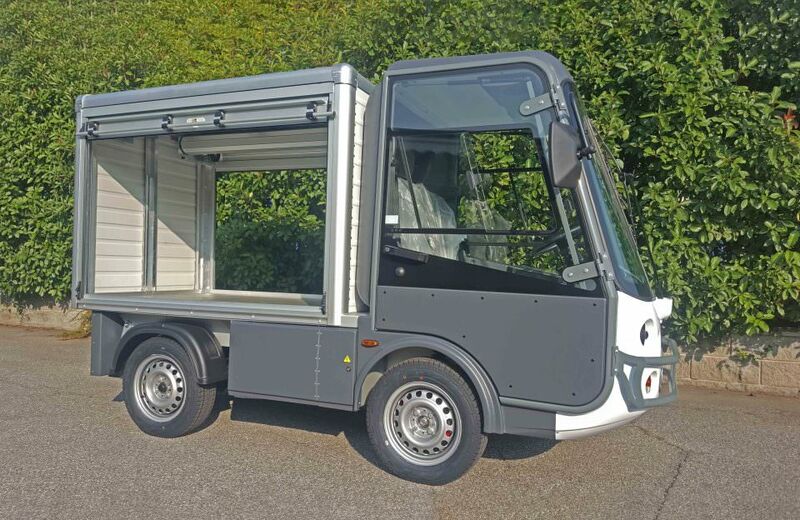 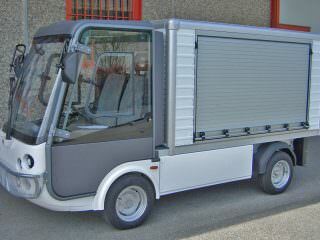 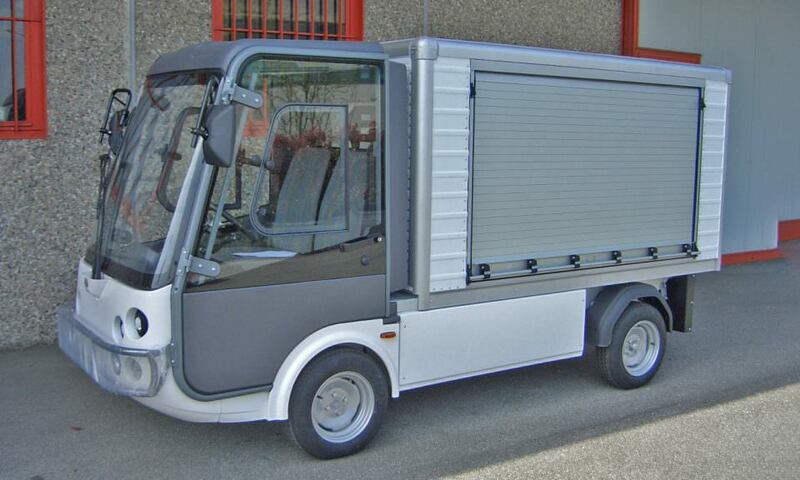 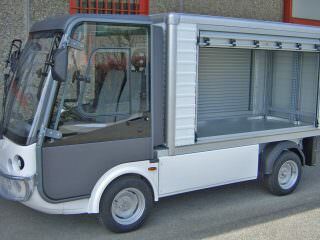 As an N1 classified fully homologated street legal electric van the Esagono Gastone, is ideal for city centre last mile deliveries or transporting goods and equipment around large sites and facilities.